Far away from the chaos, noise, and bustle of the city are sanctuaries of serenity, natural beauty, and simplicity. Places like these—rural towns, highland villages, farms—may be simple and even “backward” in the eyes of city dwellers. But it is through these humble places where you learn the most important things in life such as simple joys, peace of mind, respect for Mother Nature, and appreciation of tradition. 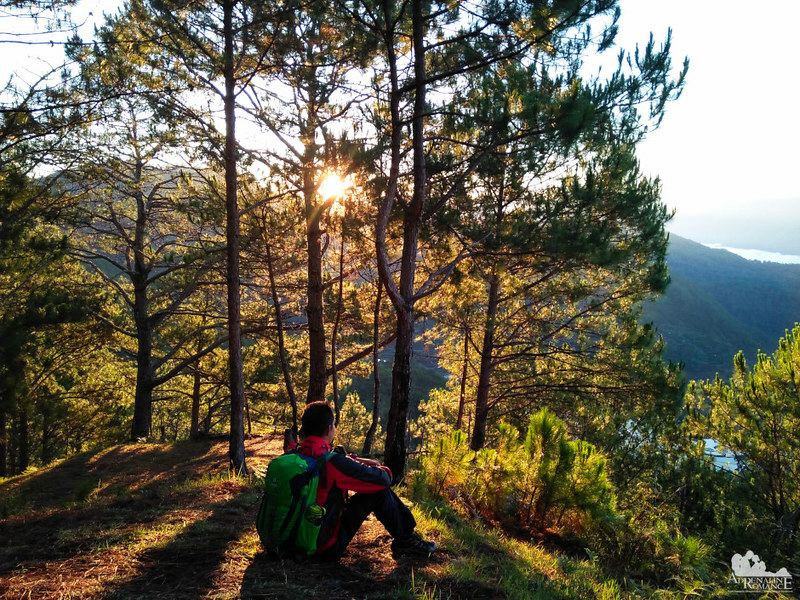 We found all these and more in Maligcong, Bontoc in Mountain Province, Philippines. After a 45-minute jeepney ride, we arrived in Bontoc. We enjoyed a vegetarian pasta lunch before proceeding to the jeepney terminal to catch a jeepney that will take us to the nearby highland barangay of Maligcong. Like many jeepneys that ply around the Cordillera region, this jeepney seems to be designed more for cargo with passenger space added as an afterthought. 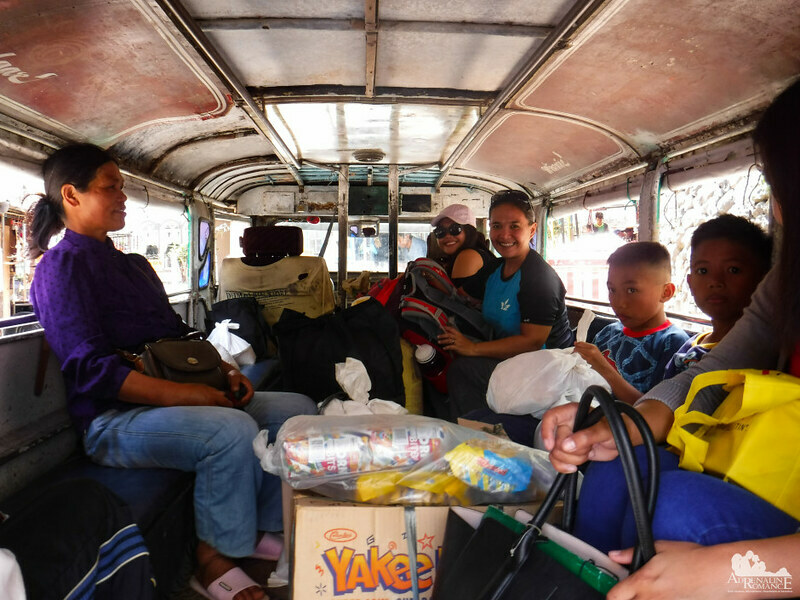 Both the interior and exterior of the jeepney is filled with live poultry, fresh produce, sacks of rice, wholesale goods, household items, and construction materials. 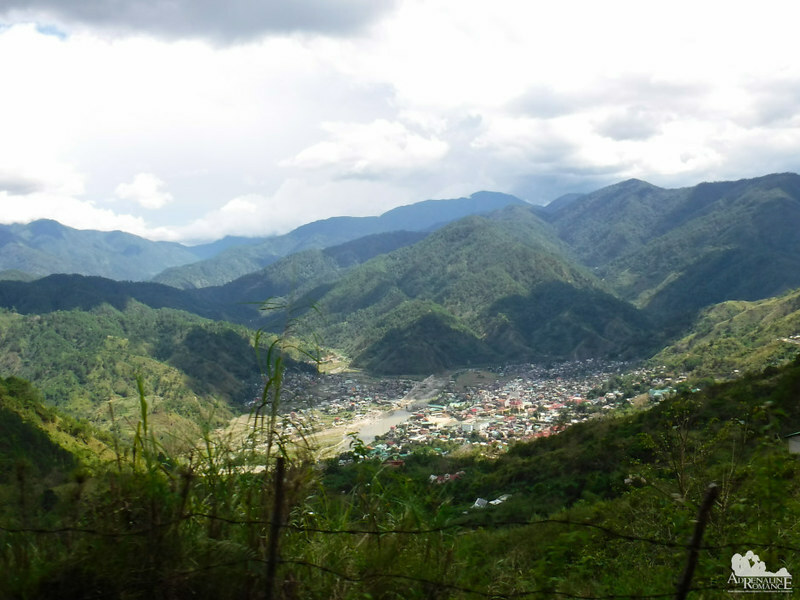 As the jeepney rumbled up a paved mountain road to Maligcong, we could see the entire city of Bontoc. 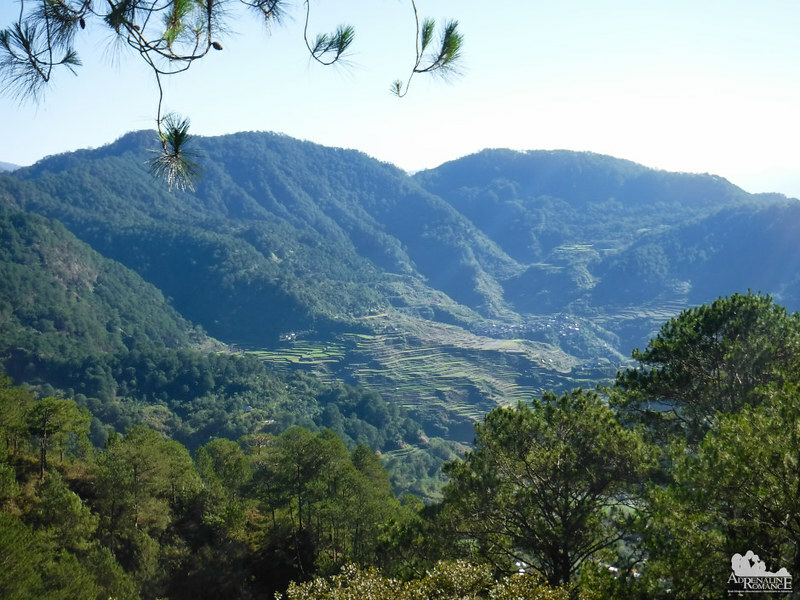 Bontoc is the capital of Mountain Province. 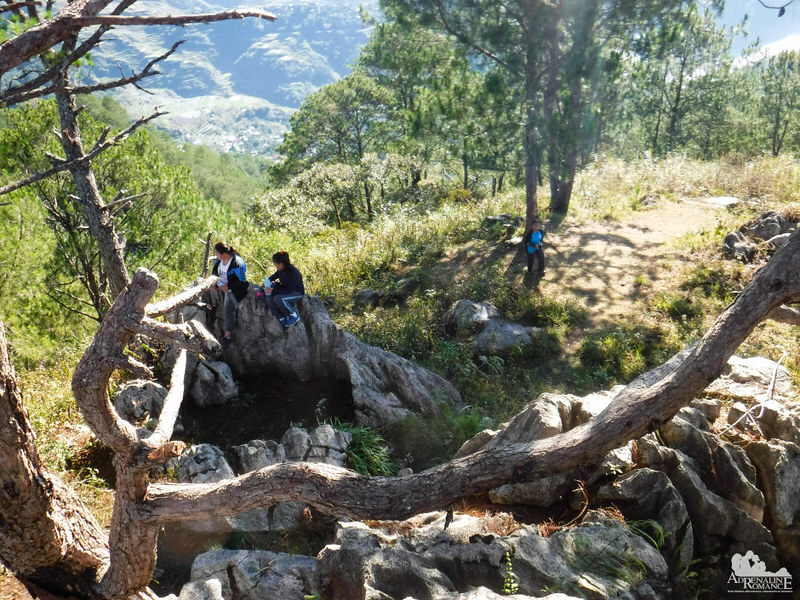 It is also the historical capital of the entire Cordillera region. 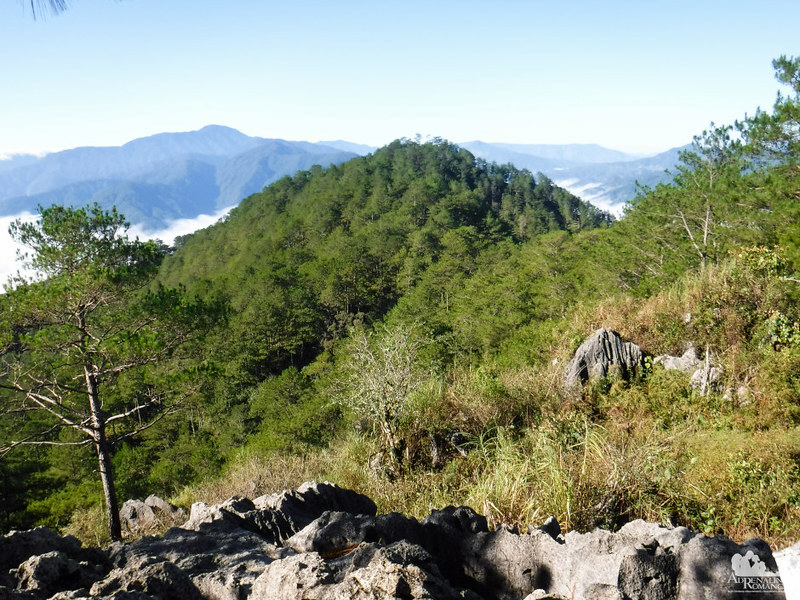 The Igorots who inhabit Bontoc and the surrounding areas still practice ancient customs and traditions. 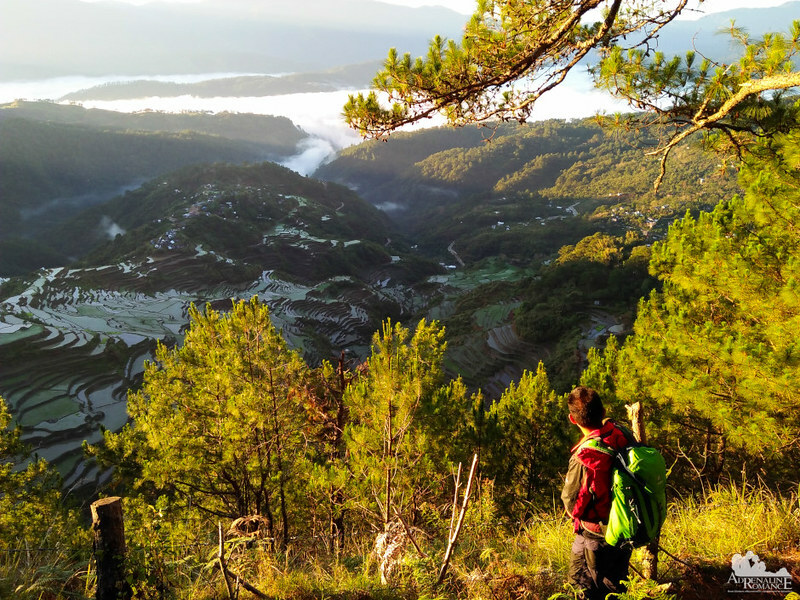 From our vantage point, we understood why Bontoc is uncharacteristically hot and humid, which we find quite unusual considering the cool temperature in the highlands. The city, which is located at the bottom of a large valley, is surrounded by enormous mountain ranges. These mountains act as natural aerial dams, blocking the cool high-altitude winds from reaching the valley. The air became cooler though as we neared Maligcong. People here know pretty much everyone; the driver stopped just in front of Suzette’s Maligcong Homestay without us telling him to stop! 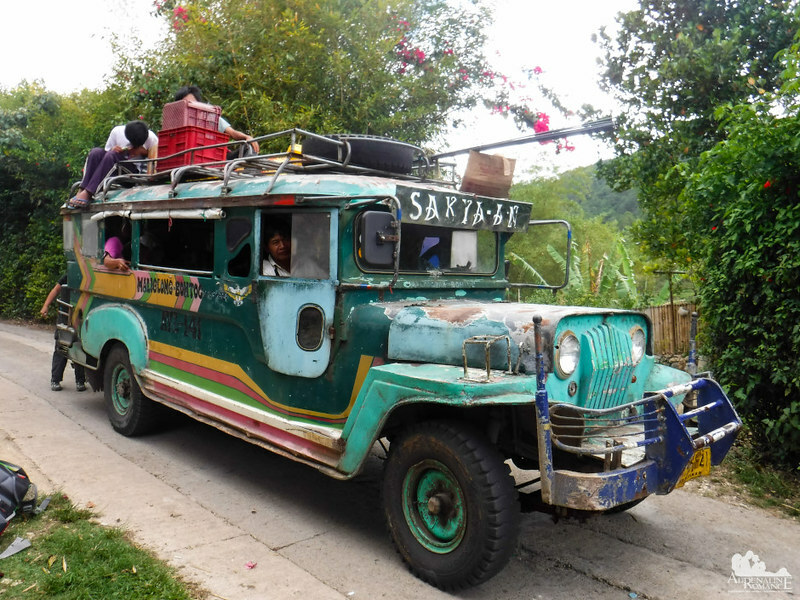 This is the typical look of a mountain-bound jeepney in the Cordilleras. It may look far from roadworthy but trust us, it does its job very well. The viewing terrace in Suzette’s Maligcong Homestay gave us a pretty view of the magnificent Maligcong rice terraces, one of the many ancient rice terraces in the Cordilleras. 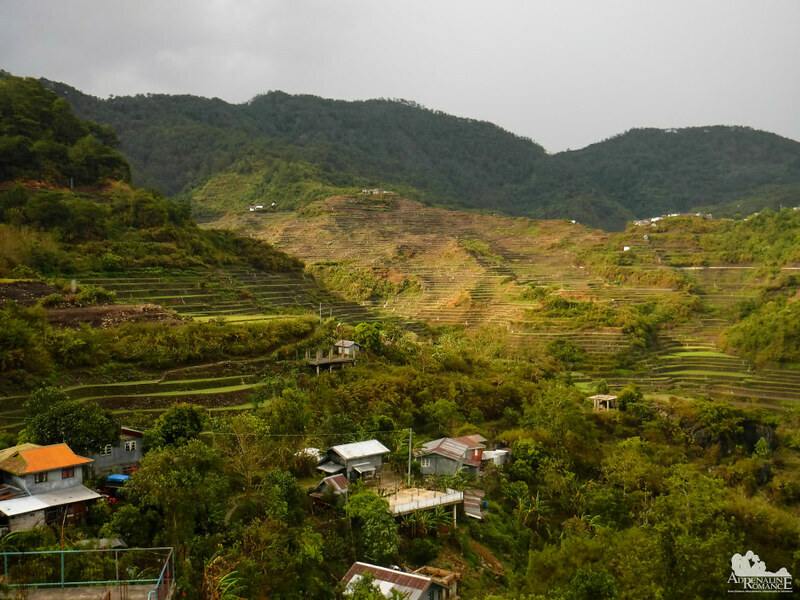 Unlike Banaue Rice Terraces wherein the “steps” are made of mud and soil, Maligcong’s terraces are lined with stone walls to reduce erosion. Concrete or stone pathways on the lips of the steps allow people to walk across the fields easily without damaging the terraces. When we arrived in Maligcong, it was the start of the rice planting season, and the terraces are carpeted with a light green sheen of newly planted rice saplings. 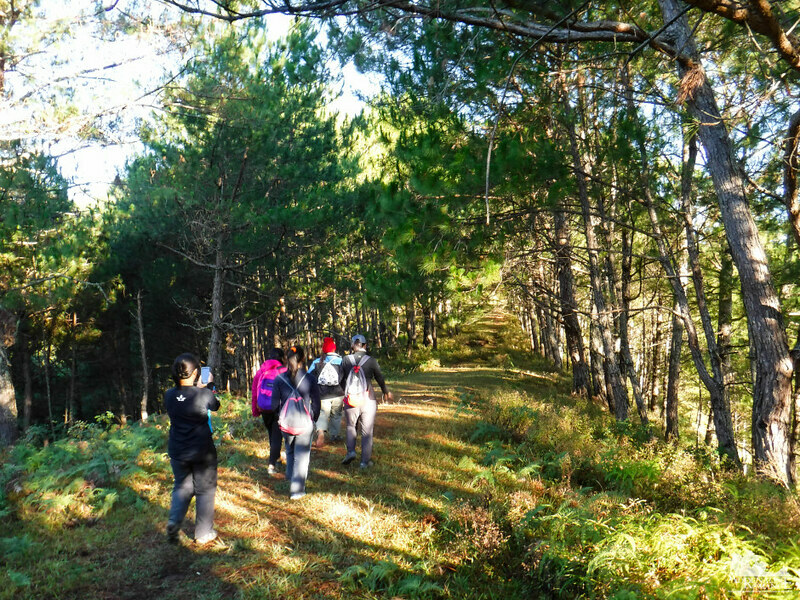 We planned to climb the 1,400-meter Mt. Fato after a short one-hour rest. With our packs ready, we set out to climb the mountain even though rain was pouring in moderately heavy sheets. That’s supposedly fine; we’ve climbed mountains during the rainy season, and we don’t mind getting drenched. But suddenly, we heard what seemed like pebbles being dumped on galvanized steel. Wait, this isn’t rain! This is hail! We experienced our first hailstorm here in Bontoc! It was scary and exhilarating at the same time! According to our host, the last hailstorm that was as strong as this was in 2005! A wonder of nature indeed! Here’s a closeup of the hailstones. Hail occurs in ideal conditions where there are large thunderstorm clouds with intense updrafts, high water content, and large water droplets. The temperature of the cloud level is near or below freezing, which is ideal for ice to form. It’s a good thing that we aborted our climb. Just imagine if we continued ascending Mt. Fato and we got caught in the middle of that fierce hailstorm. 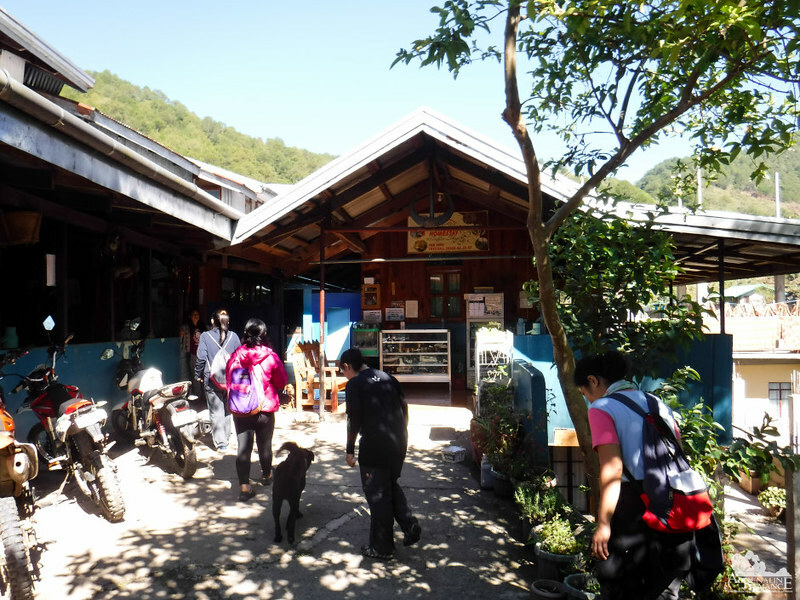 We would be lucky if we returned to the homestay in one piece! To make up for the lost time, we decided to climb Mt. Kupapey then do a traverse to Mt. Fato early the next day rather than climb the two mountains separately. A late afternoon sun shone through, and it started melting the hail that covered the terraces. Small waterfalls of meltwater flowed down the face of the terraces. Ma’am Suzette looked worried. 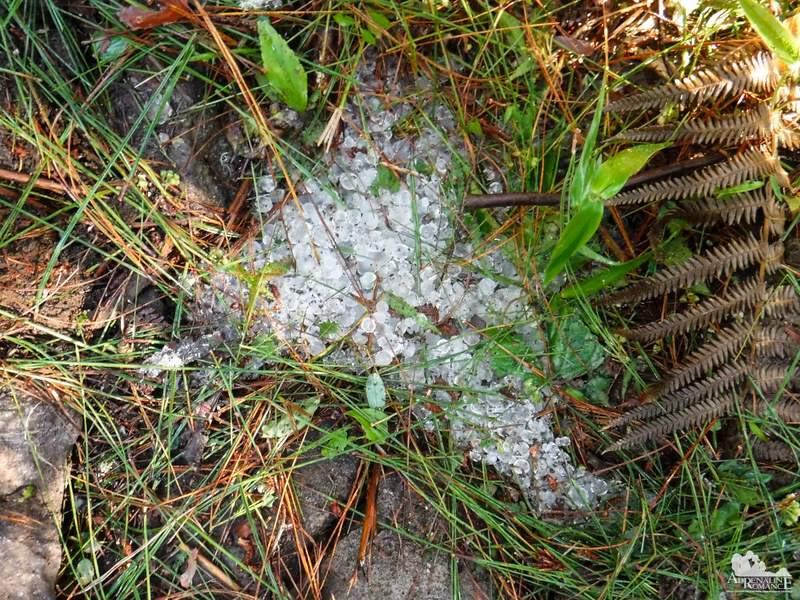 Hailstorms, although not as powerful or heavy as the one we just experienced, are a natural occurrence here. She said that an overflow of melted ice water can damage the newly planted crops. She could be more right than we knew. 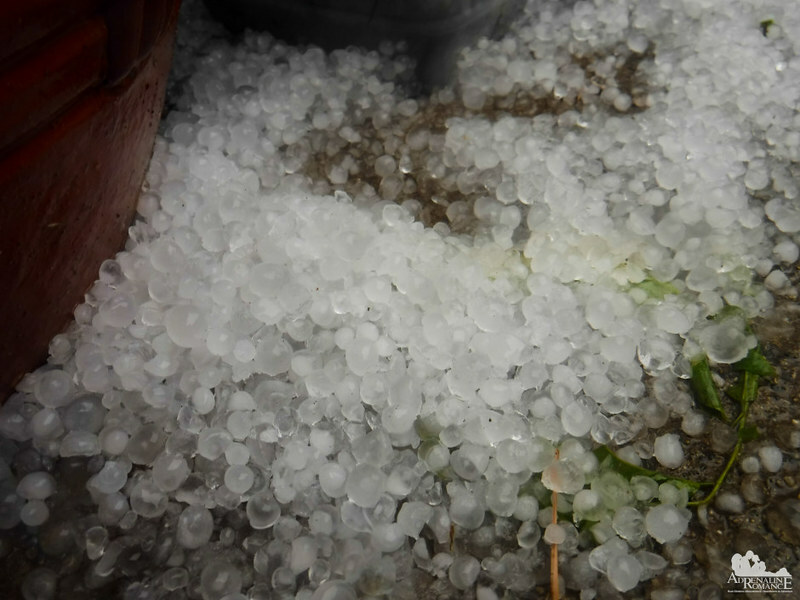 We experienced intermittent power outages throughout the afternoon and evening, which meant that the hail also wreaked havoc on power lines, transformers, and capacitors. We woke up at 3:30 AM, met our guides, and started the climb to Mt. Kupapey. With us are two other guests, Joan and Xeny, who are also climbers. 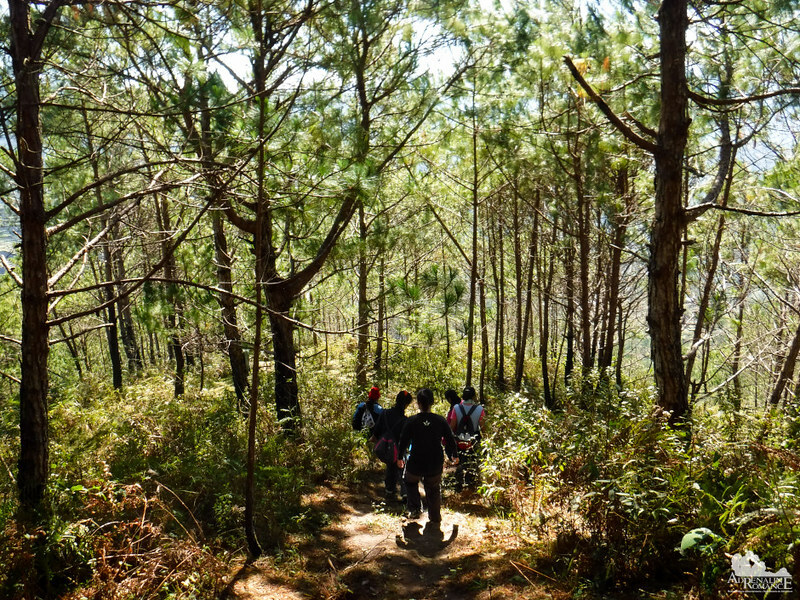 Our team climbed up the rice terraces and into the pine forest above. 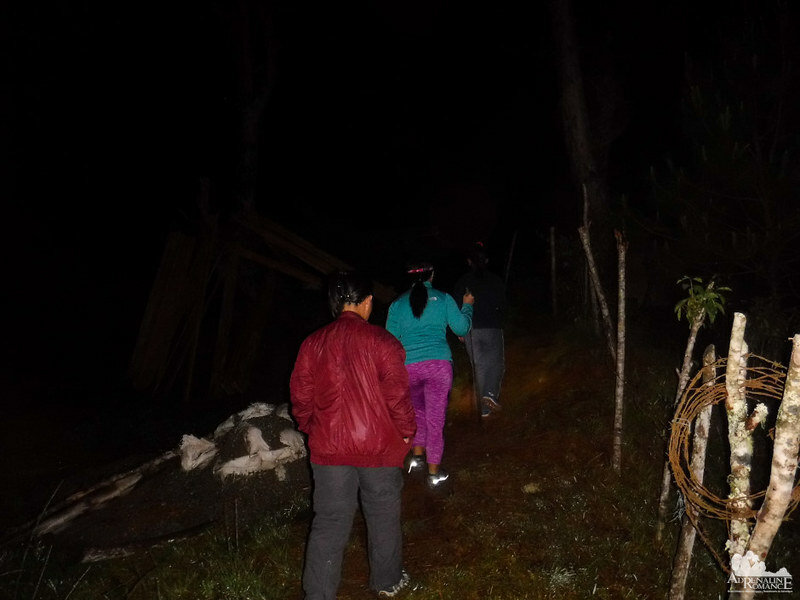 Due to the darkness and the fact that our camera doesn’t have a powerful flash, I wasn’t able to take photos of the trail and whatever attractions we came across during the ascent. It was dark anyway, so there’s really nothing to see. After a little over an hour of fast-paced climbing, we reached the pine-lined summit of Mt. Kupapey, 1,650 meters above sea level. We waited for almost another hour before the sun rose above the mountains. As much as possible, we let Alexa hike with us. Although we do not expect her to follow our footsteps as adventurers, we want her to foster a love and respect of the outdoors. We feel that hiking together as a family is a part of good parenting. For us, letting kids play and enjoy Mother Nature is extremely important so they’ll grow up as strong, determined, responsible, humble, and Earth-loving individuals. With all those gadgets, conveniences, and lazy lifestyles, too many children, teens, and young adults are trapped in an unreal digital world. They are ungrateful, spoiled brats who whine at everything that causes them the slightest discomfort, pain, or inconvenience. We don’t want Alexa to be part of that clique. 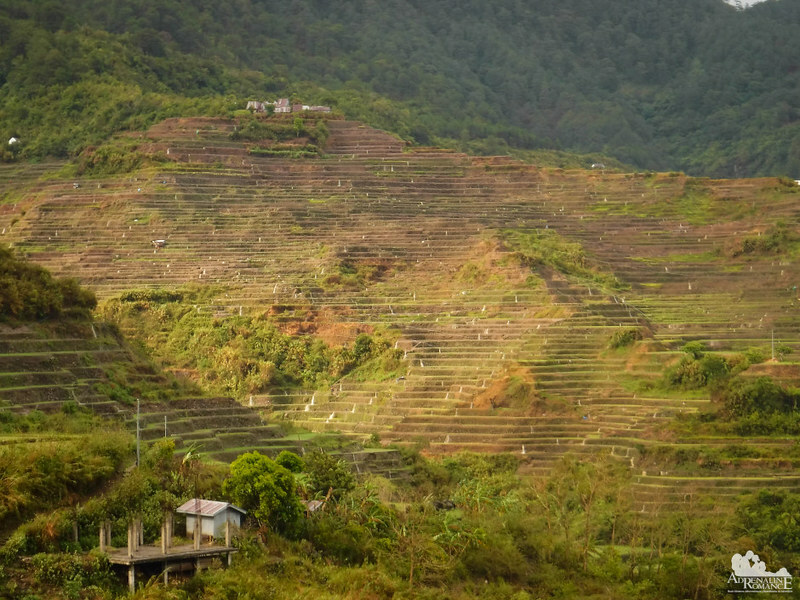 Far below us, still in the shadow of a neighboring mountain range, are the Maligcong Rice Terraces. It’s just amazing to realize that our ancestors, who many so-called civilized people think as primitive, uneducated, and uncivilized, created this massive natural and architectural wonder. For us, they are unparalleled Earth engineers and artists. Our modernity, knowledge, and technology have allowed us to make ungodly marvels. However, the everlasting knowledge and age-old tradition of our humble and hardworking forefathers are still proven to be incredibly effective. In many cases, the old ways are the best. The people of old have massive respect for history, culture, and nature. The Igorots realize that their society, and the forest and mountains that surround them are dependent on each other for survival. 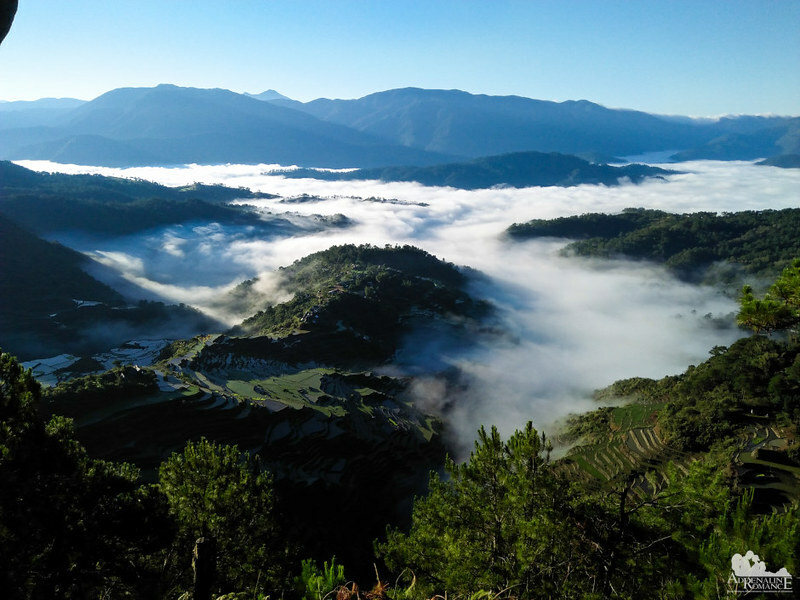 The moist and cool ground, the dry air on high altitude, and the rising temperature of the morning created this stunning sea of clouds all across the valley. Slowly, it crept towards Maligcong and enveloped the terraces as if protecting them from intruding eyes. The scene below and beyond simply became more magical. 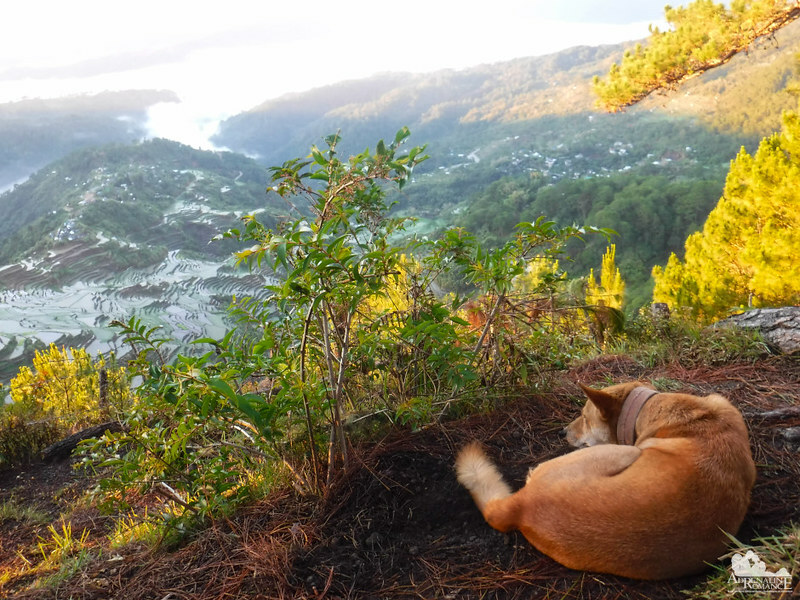 Kunig, one of Ma’am Suzette’s beloved dogs, loves to climb along with trekkers. He and a playmate accompanied us through the entire climb. They often stop at intersections, bark when a hiker goes the wrong way, or stay at the back to ensure that no one is left behind. At the summit, Kunig lay down for a much-needed break and to enjoy the sunrise, just like the rest of us. Good boy! After watching the sunrise, it was time to leave Mt. Kupapey and start the traverse to Mt. Fato. According to our guide, the traverse would take around one and a half hours at a good pace. 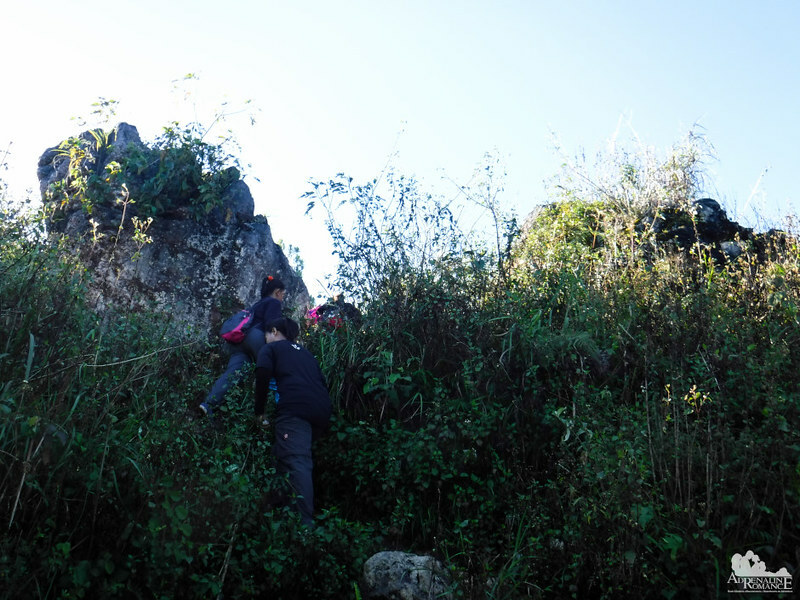 By our reckoning, we should complete the traverse at around 8:00 AM and be back at the homestay sometime around 9:00 AM. So let’s go! About half of the way, we walked on a narrow trail that hugs a mountain range. At some places, the slope is so steep that we had to lean and put our weight to the right to avoid a possibly fatal misstep to the left. Crossing gaps along the slanting trail required walking along wooden logs that were laid ages ago across the cracks. Many of them are rotten, and I had the misfortune to step and break a plank. Fortunately, I held on to the stronger planks so I did not fall off the mountain. Humans are not the only architects and engineers in this world. This huge bell-shaped nest is home to several birds that inhabit these mountains. 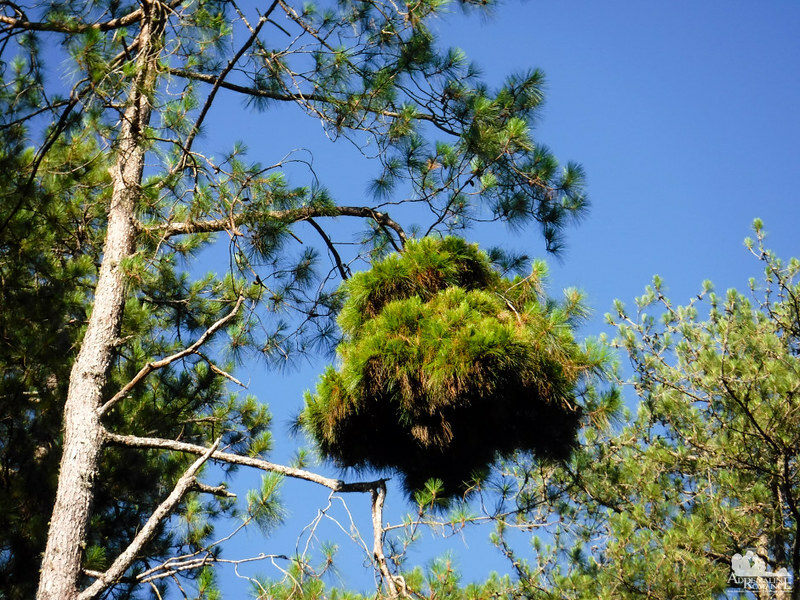 The unseen birds skillfully twist and weave the leaves and branches of the Khasi pines to make this nest. Pine cones lay scattered all over the forest floor. 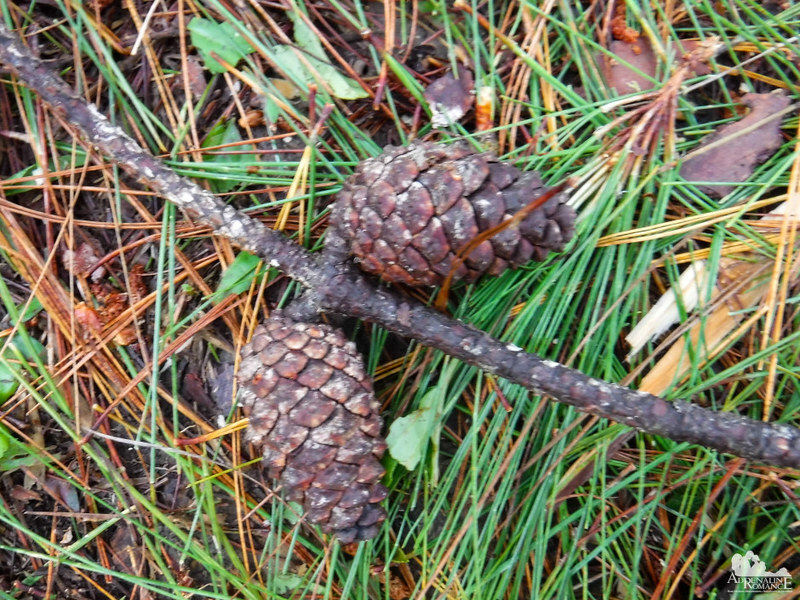 Cones have seeds, which are dispersed by birds or environmental cues. These seeds become healthy pine trees after many years. Trivia: Do you know that pine cones are monoecious? That means they have male and female cones growing on the same tree! 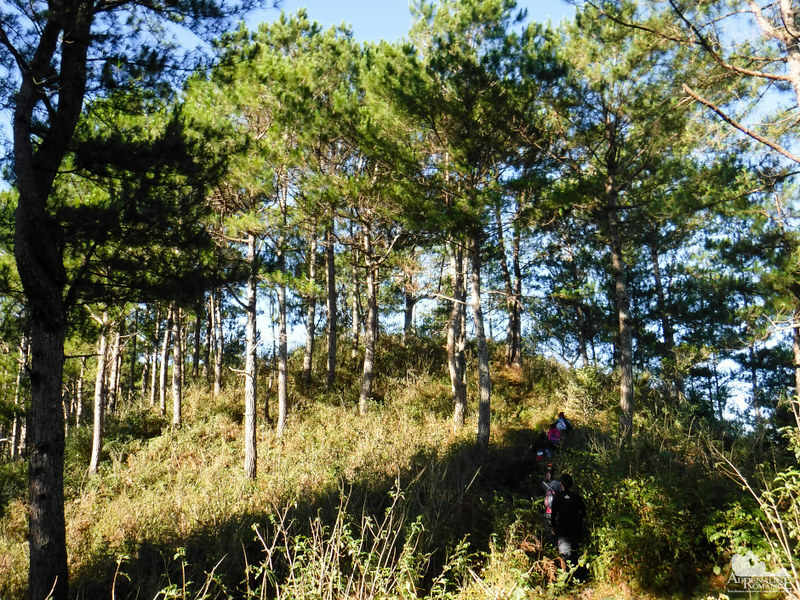 Healthy pine forests such as these cover vast areas of the Cordilleras. They make the air cool, fresh, and fragrant. These trees actually make the hike pleasant. 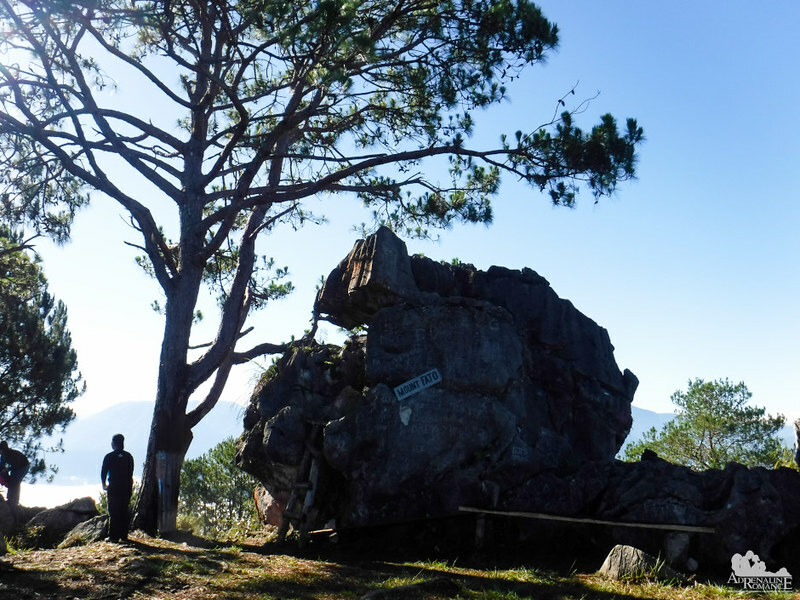 Locals often climb the mountain to cut adult pine trees for wood. We know what you’re thinking: this is deforestation, right? Well, not exactly. Unlike logging companies that decimate huge areas of forests, locals cut down only a few adult trees for their personal use or for a small business. 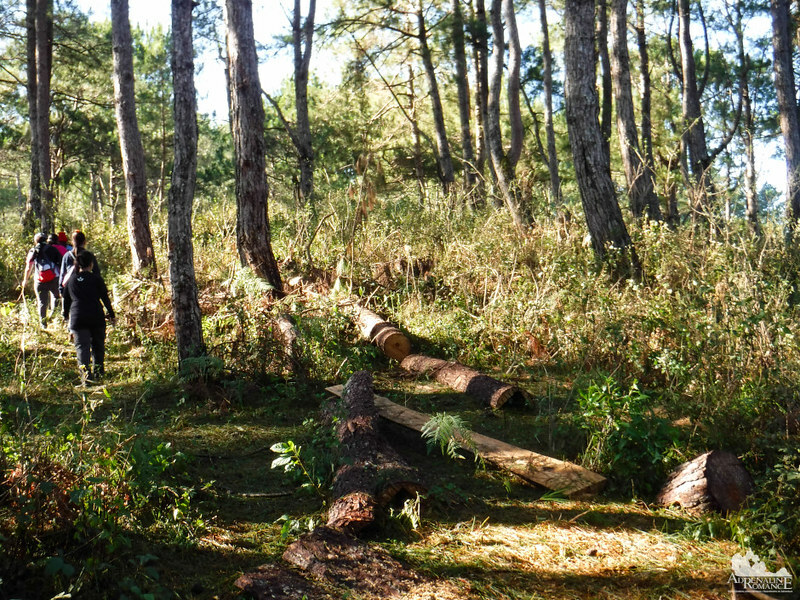 Then they transplant them with the innumerable cones in the forest and leave that particular area untouched. Yes, the practice is environmentally friendly and sustainable. This is the kind of respect that Igorots and Ifugaonons are known for. Due to the low temperature at this altitude, yesterday’s hailstones haven’t melted yet. In time, these will melt and provide nourishment to the trees and plants in the forest. We have been walking a little over an hour. Our guide said that we were too slow, and it would take us 5 more hours to reach the summit of Mt. Fato! What? Well, in less than 5 minutes, we were standing on the flat summit of Mt. Fato. That big rock is a prominent natural feature—and the only feature that could have protected us if we climbed during the hailstorm yesterday afternoon. You can climb the rock, but just be careful. From the top of the rock formation, we could see more rocks and flat surfaces. Sorry, but camping is not allowed here or on Mt. Kupapey. The locals are serious in protecting these life-giving mountains, and they will send forest rangers to arrest those who do not heed their rules. From Mt. Fato, we could see the Maligcong Rice Terraces from afar. We also saw Mt. Kupapey and the length of the range which we just traversed! Wow! At this vantage point, it’s quite difficult to imagine that we just came from another mountain, which seems so far away. Just like in life, when you look back at your struggles to overcome a seemingly insurmountable obstacle, you would realize that you are definitely stronger than you think you are. You realize that you can really do anything and accomplish your dreams, but you need the willpower to start that journey. Beyond Mt. Kupapey are even more mountains and more pine forests. Many years from now, perhaps they’ll stay like this forever. Perhaps, they’ll disappear as man encroaches on them. Whatever the case, we are grateful to have seen the purity of Mother Nature in our lifetime. After finishing the last of our trail snack, we started our descent. Because Mt. Fato is closer to our homestay than Mt. Kupapey, it only took us an hour to finish the entire descent. 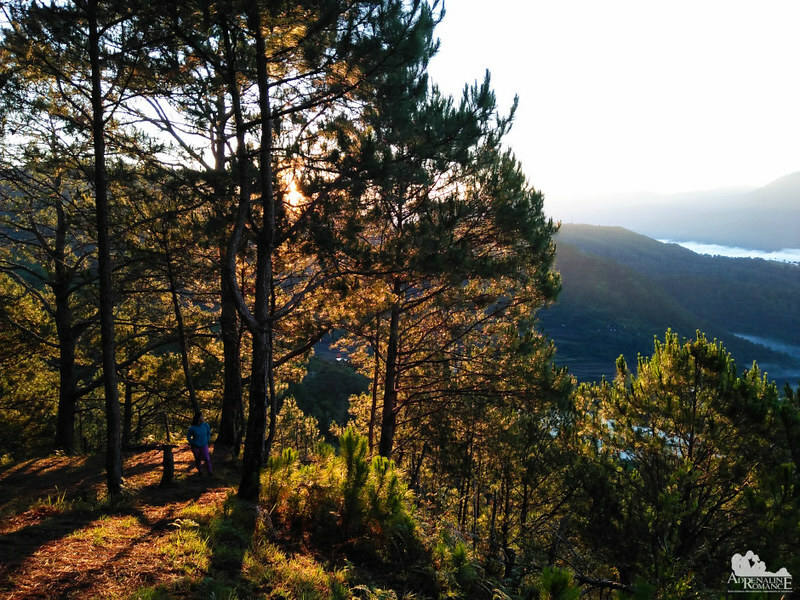 All through the hike, I had nothing but eating a warm, delicious breakfast (complete with freshly brewed Benguet coffee which the homestay serves for free) in my mind. So you can just imagine how I felt when we finally arrived at the homestay! Success! And of course, time for a well-deserved breakfast. Overall, our food and mountain adventure was truly a fun and an educational blast. It wasn’t just a trip. For Alexa, it was an awesome reward and a chance to experience something outside the classroom or the smartphone. For Sweetie and I, it was a way to savor the richness of our country’s history and culture. Indeed, trips like these make us better human beings in every way. Our trip back to Baguio certainly confirmed this. 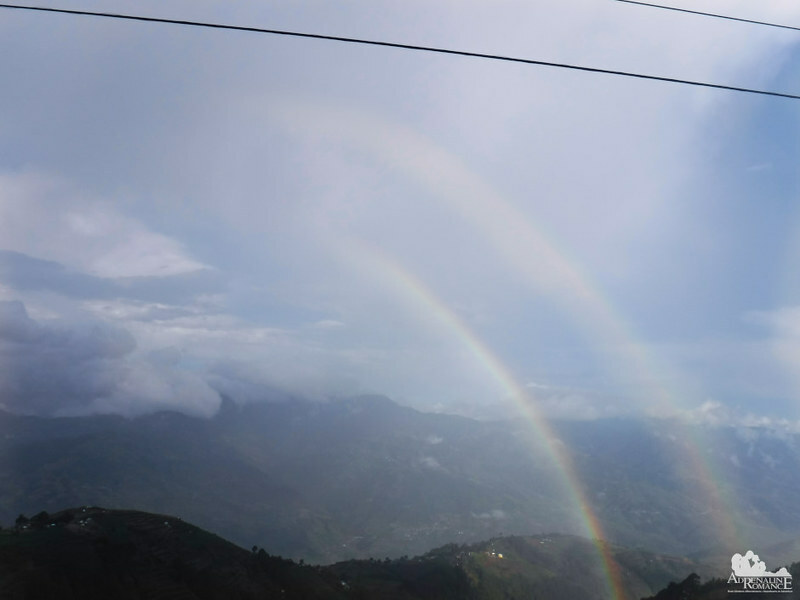 As we rode through the Halsema Highway, we saw a rare double rainbow. It’s Mother Nature smiling at us! * Rates are subject to change without further notice. We did not include expenses for food, souvenirs, etc. as you may have different preferences and sharing schemes than us. 1. For accommodations, contact Suzette’s Maligcong Homestay at 0915-546-3557. She can also arrange guides for your Mt. Kupapey and Mt. Fato climbs. Climb Mt. Fato the day before so that the next morning, you will just climb Mt. Kupapey. This way, you won’t have to do the traverse. On the day of your departure, start your climb early before the sun rises. You should be back at the homestay at around 7 to 8 AM. If you opt to do the traverse, start early before sunrise, walk on a fast pace, and don’t linger too long on the peaks. Obviously, the climb would be less pleasant than taking your time to enjoy the adventure. 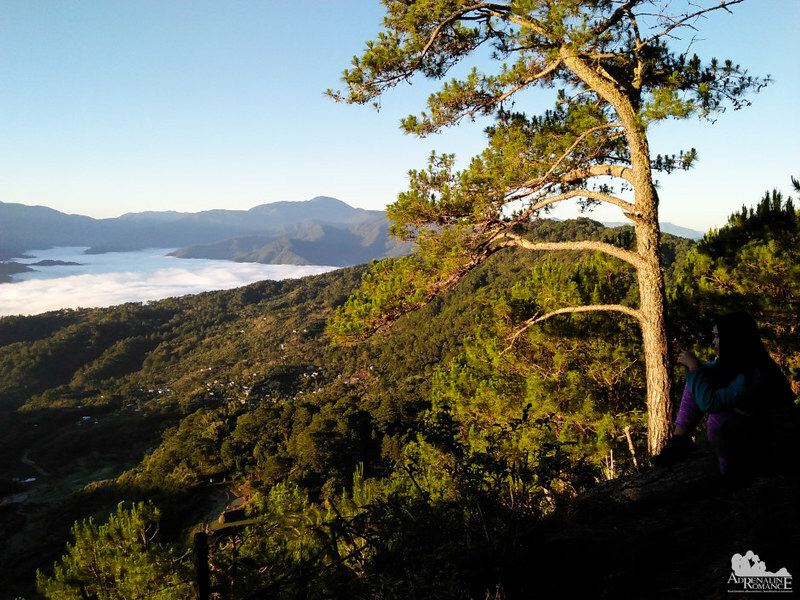 If you’re doing the traverse and you’re not sure if you can make it in time, it’s best to arrange for private transportation (P 600) with Maam Suzette to take you from Maligcong to Bontoc after your climb. 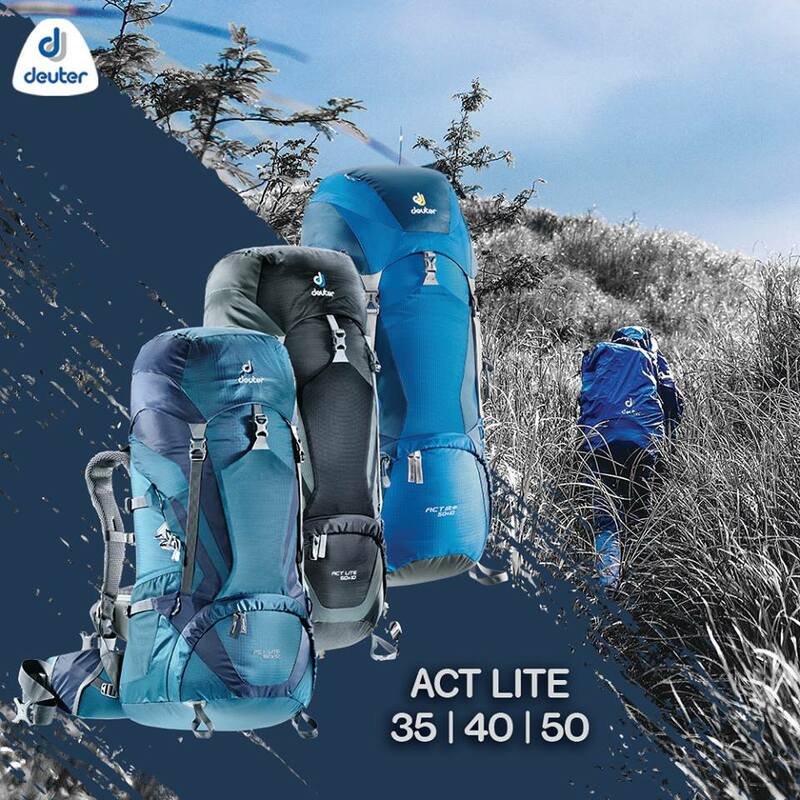 Prepare your stuff the night before, bringing only a small daypack for the climb, so you won’t have to waste time packing up after your climb. 3. 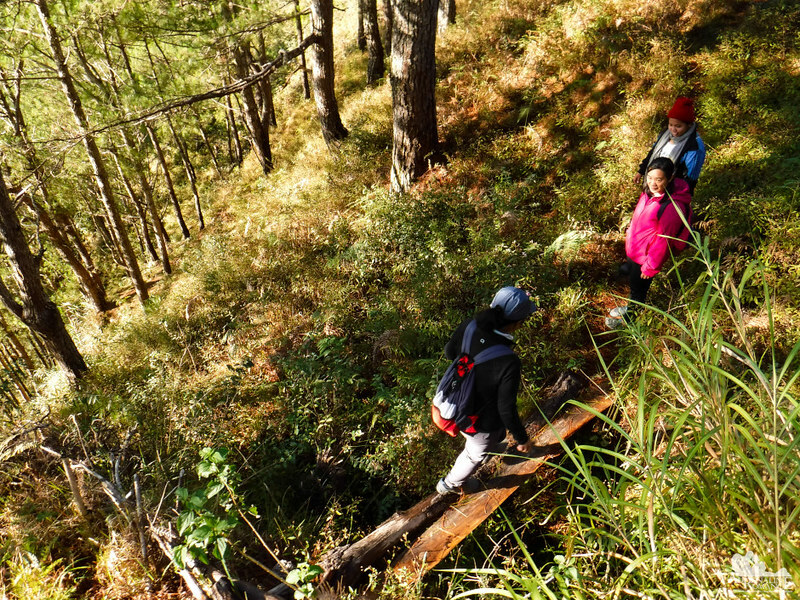 The trek is relatively easy, starting on established concrete pathways and stairways on the Maligcong Rice Terraces. Eventually, the pathway breaks apart into mountain trails made of firm soil. 4. Be careful on the traverse. 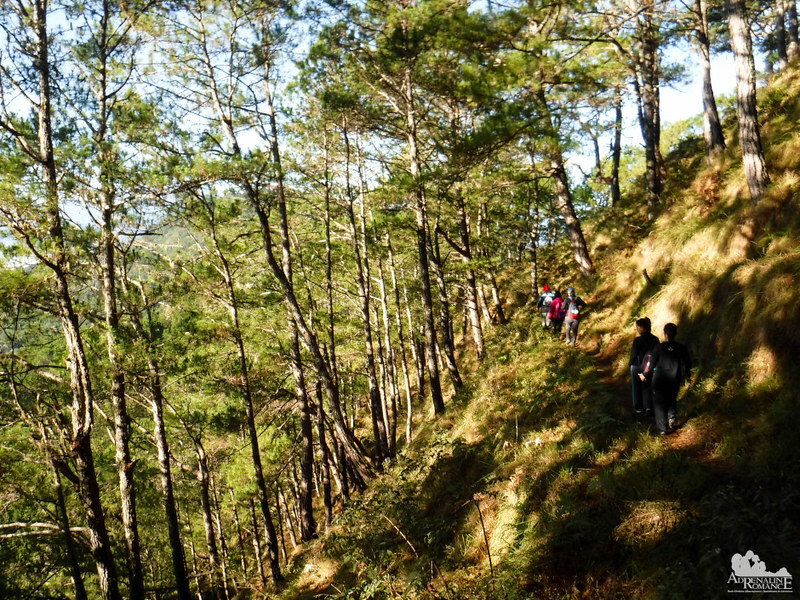 There’s a part where the trail runs alongside a steep mountain slope. A misstep would send you plummeting down the mountain. 5. Camping is not allowed on Mt. Kupapey and Mt. Fato. 7. Do not litter, vandalize, or deface the place. Observe Leave No Trace principles and respect Nature. The hail looks so cool! I’ve never seen anything like that before. Oh yes! The hailstorm was as exhilarating as it’s scary. Hehehe! I’m not a trekker, but I think this was a beautiful trail. 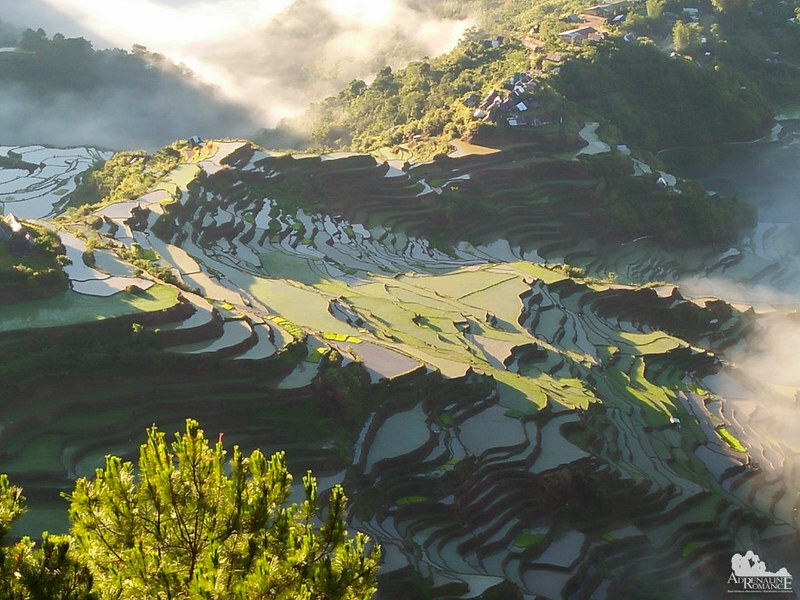 Those rice terraces look astounding. What skill it must have taken to create them! And that hailstorm, wow! Quite an experience. Indeed! Traveling to other places allows us to discover more of our rich history and culture. The rice terraces are simply beautiful! But what is more amazing is that these terraces were made by farmers using domesticated animals, primitive tools, ingenuity, and familiarity with the terrain. No high-tech machines are involved in sculpting these terraces. Thank you! It’s really alarming that kids now are too hooked up in their smartphones and other gadgets. Not to mention many are being spoiled brats. That looks like an intense climb with some stunning scenery! That hail looks pretty big. I’ve been in many hailstorms, but nothing with ice chunks that big! That was an intense climb. You did the right choice taking the traverse instead of climbing the mountains separately. I loved the pictures. The hailstorm was surprising and the hails were pretty big in size. Hope you had great fun! Well, it wasn’t as intense as most of our other climbs. But the scene is incredibly beautiful, one of the best we’ve ever seen. What a jam-packed day! The view over those rice terraces looked amazing! How cool that the hail didn’t melt! This is such a romantic post! Unfortunately, I’m a terrible morning person and wouldn’t make the sunrise, but I’d really try to! Your photos of the landscape are truly inspiring too. Mother Nature is incredible! Hahaha! A tongue twister, isn’t it? It’s pronounced exactly as it’s spelled (Mah-leeg-kong). It’s a highland town a few kilometers away from Bontoc. That looks like an action packed adventure! The climb also looked very intense. I thought the mountain-bound jeepney did not look road-worthy at all, but also looks like it would be a very fun thing to ride in. Beautiful scenery there.